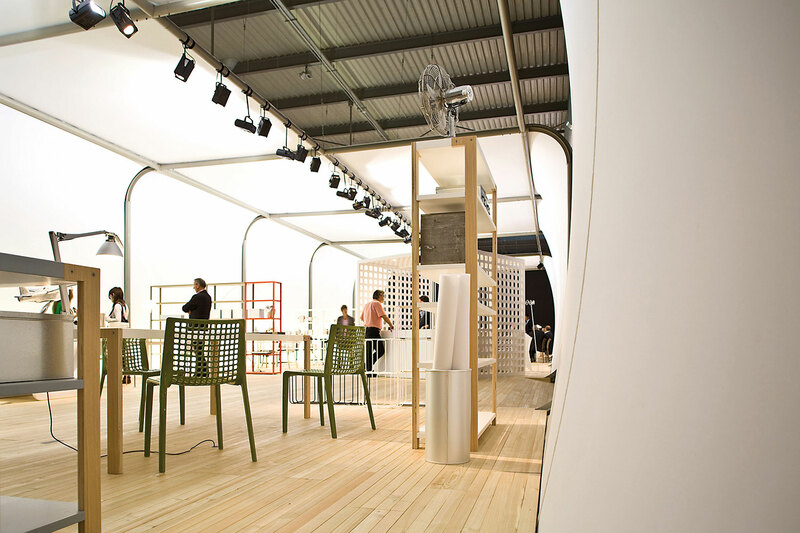 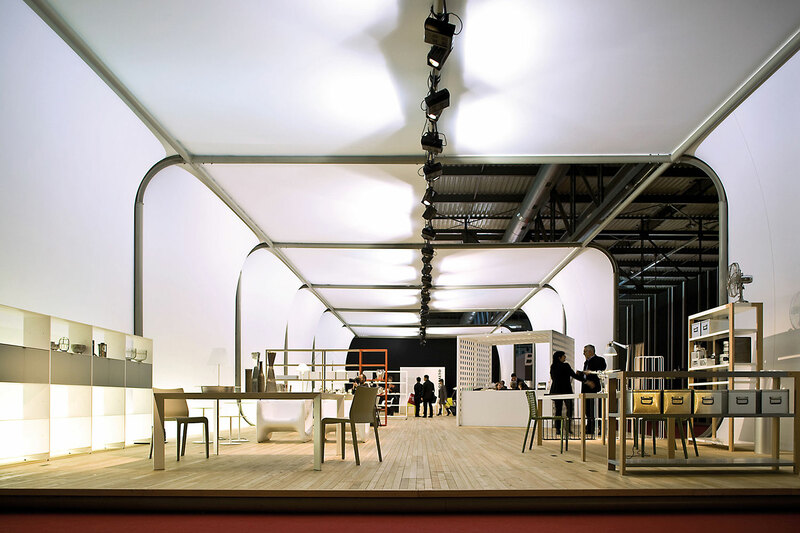 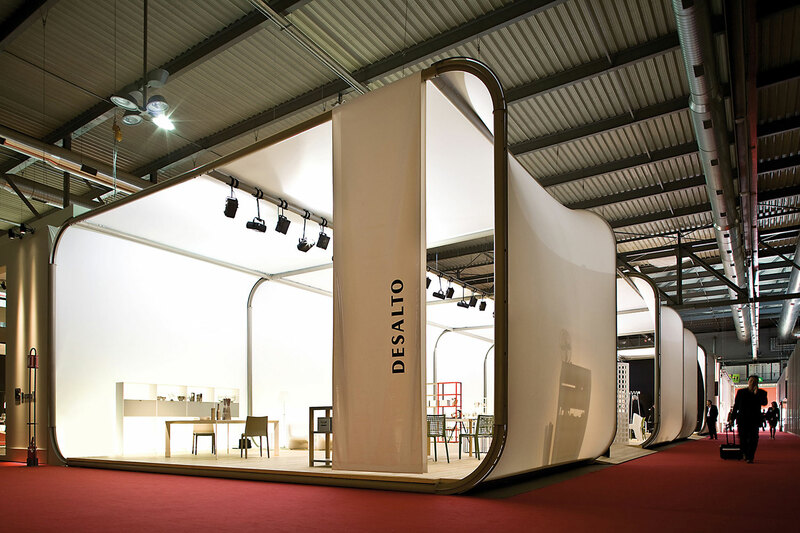 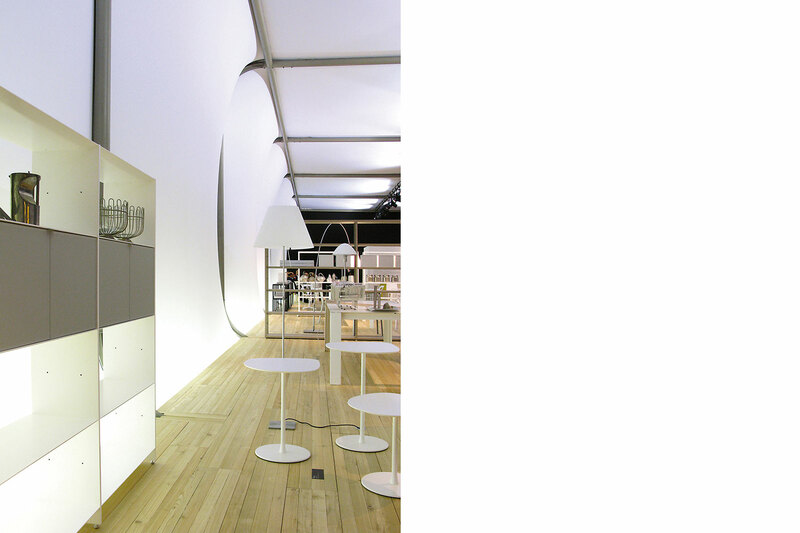 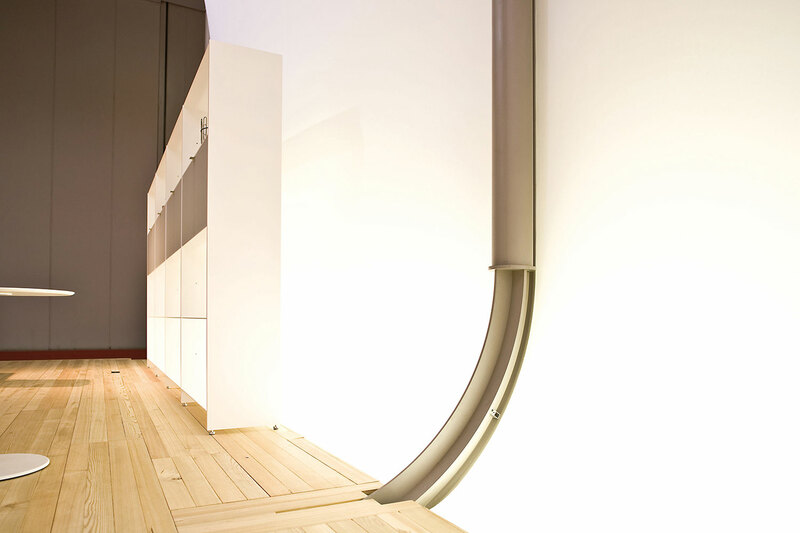 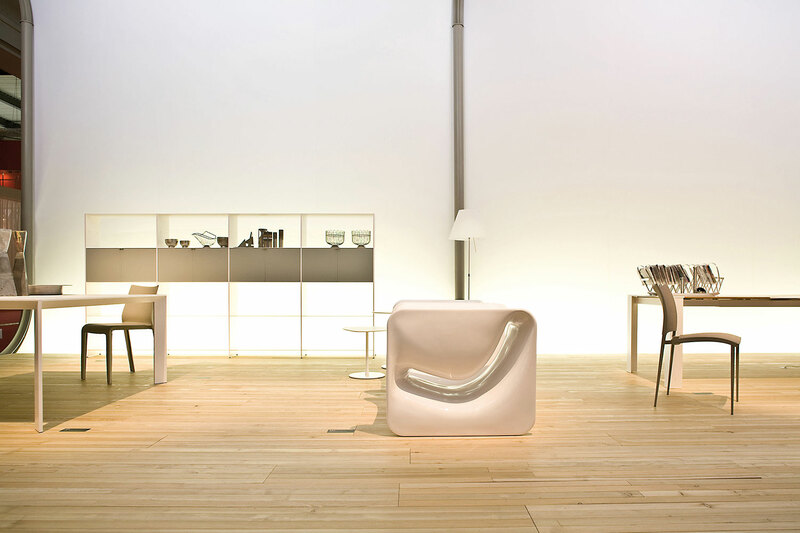 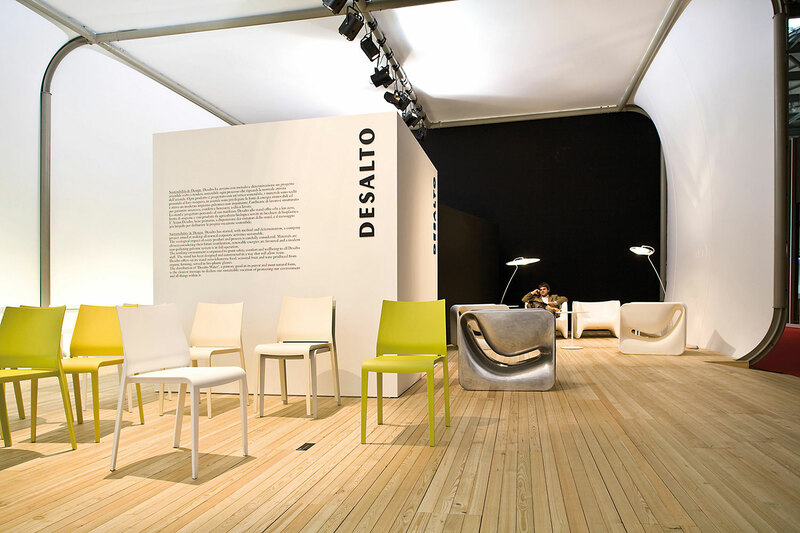 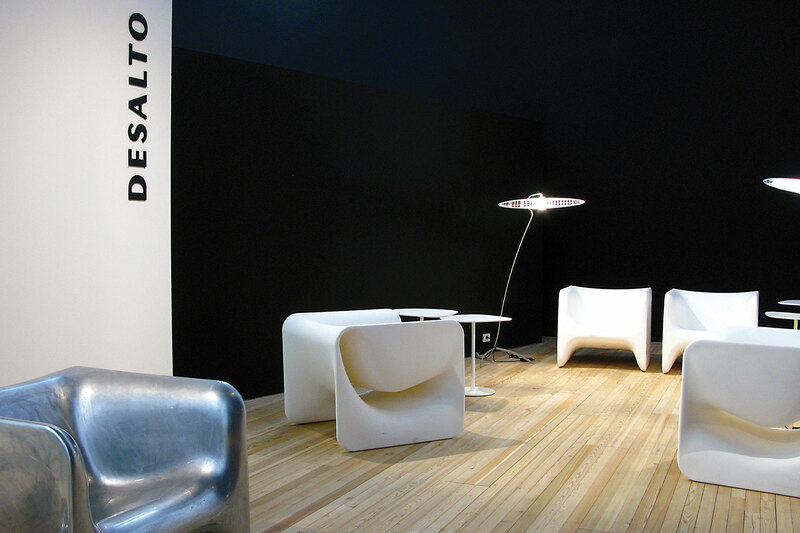 The stand is conceived on a modular system that was exclusively designed by CCRZ for Desalto. 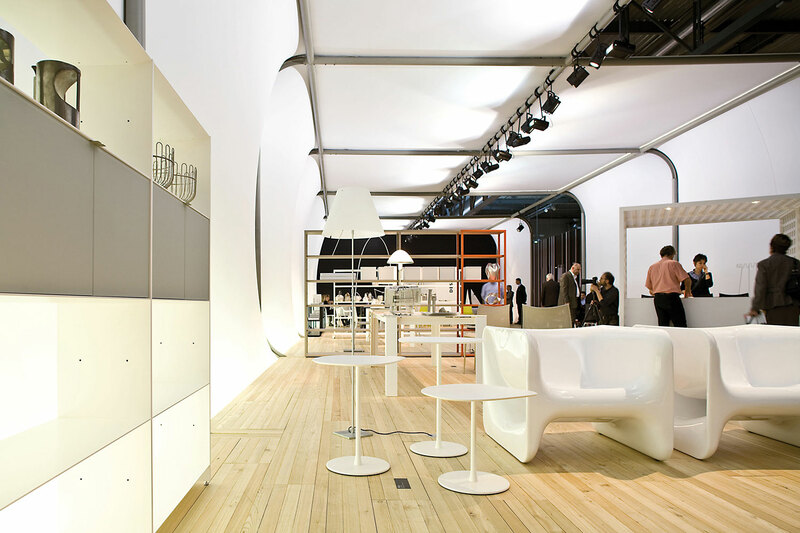 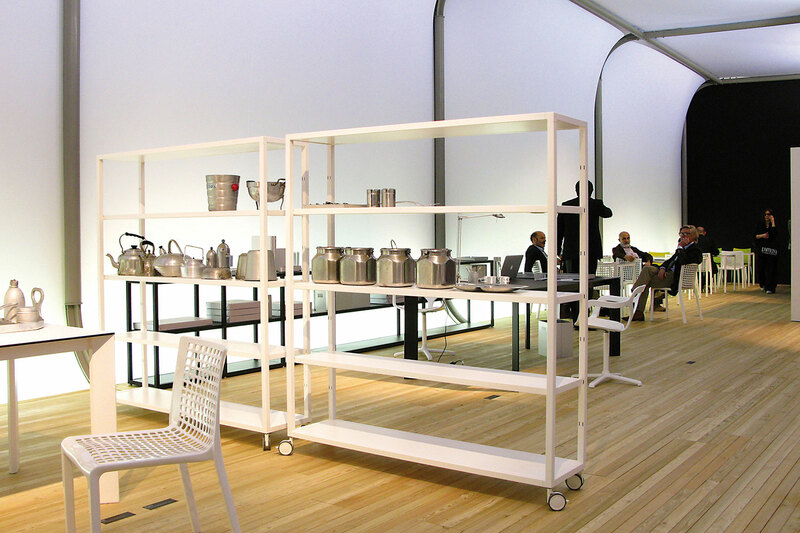 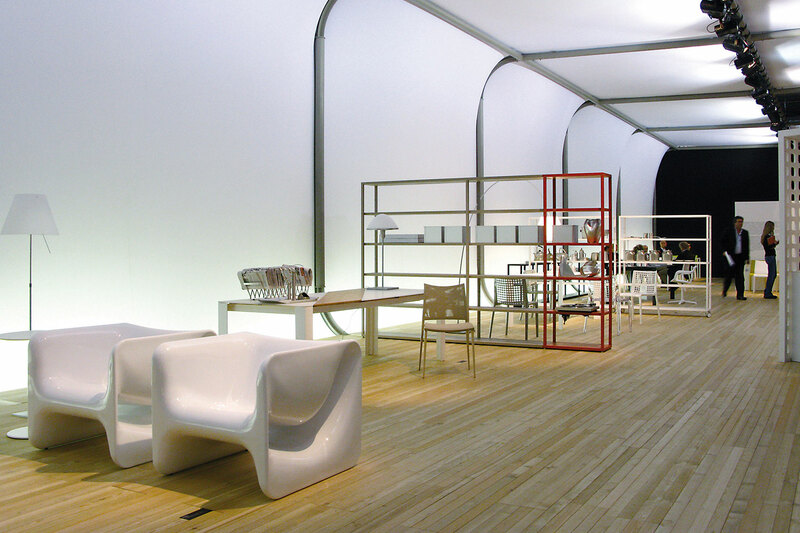 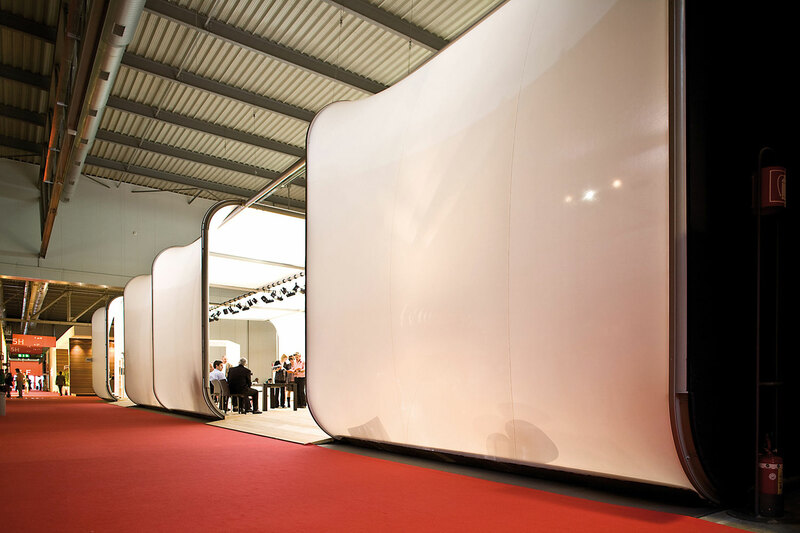 The system allows obtaining large areas that are completely empty of secondary structural parts, allowing great freedom for the internal exhibition. 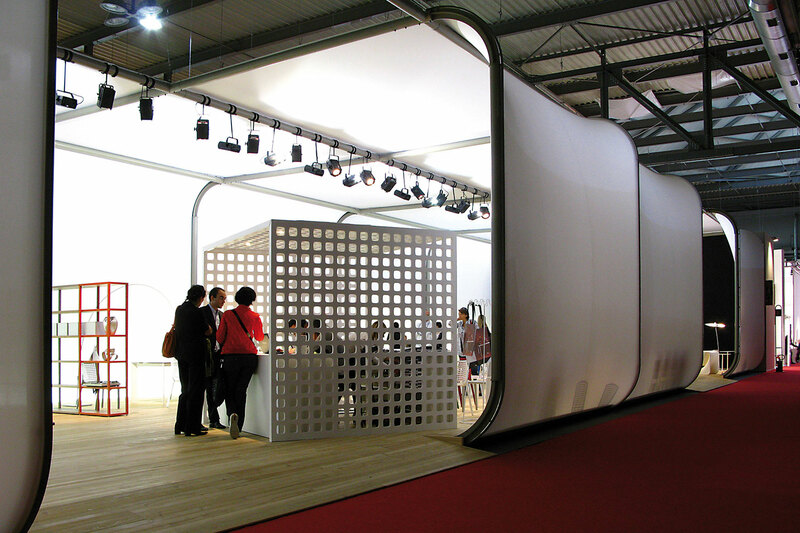 Similar to that of an airship, the tubular steel structure and the fabric infill parts confer a particular character of lightness and cleanliness to the booth.